This section provides an overview of the Know The Phonetic Code books. To download the PDF files for these books, look under the PDF FILES menu heading, go to PDF FILES - BOOKS BOOKS LISTED BY LEVEL on the sub-menu, and then click PDF FILES FOR LEVEL 4 - PHONICS PATTERNS BOOKS 1-8. Or, for a shortcut to that page, click here. These books are printed in smaller, all black print. Students read one page of words for each new pattern, including both one and two-syllable words. 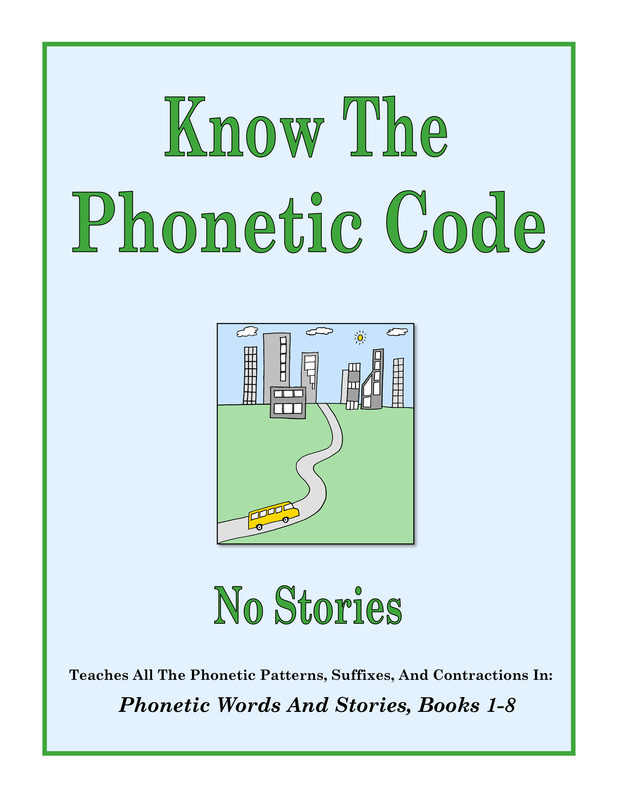 The word lists are not illustrated, and there are no sentences, but the same practice stories found in the Phonetic Words And Stories and Basic Phonics Patterns books are included and they are illustrated. The word lists are set up so that students read one column of one-syllable words for each phonetic pattern, along with separate column of two-syllable words. To make it easier to read the two-syllable words, each syllable is shown separately, followed by the whole word. This book is also printed in smaller, all black print. However in this book there are no sentences or practice stories. This makes it possible to fit word lists for ALL of the phonetic patterns from Rhyming Short Vowel Words And Sentences through Phonetic Words And Stories, Books 1-8, into one book. This includes short vowels and phonics patterns. 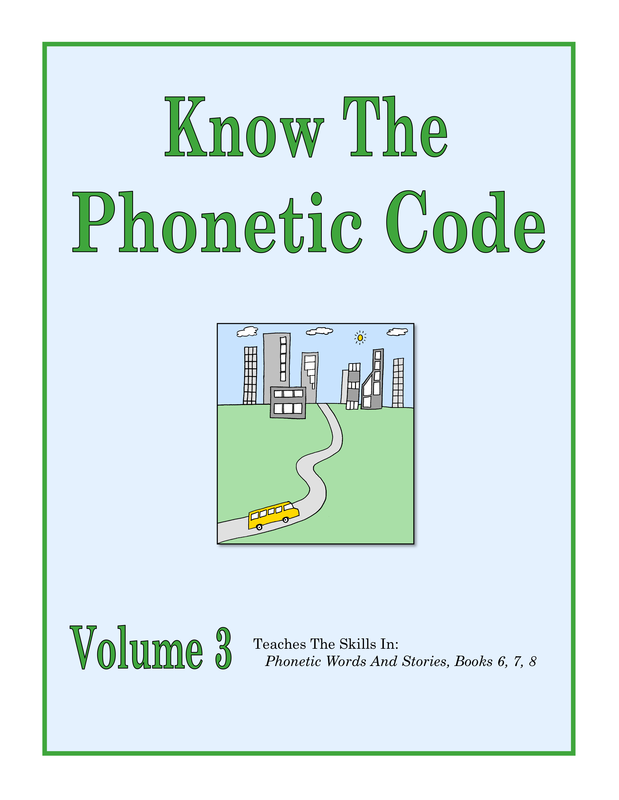 The word lists are set up so that students read a column of one-syllable words for each phonetic pattern, along with a number of two-syllable words that contain that pattern. The patterns appear in the same order in which they appear in the other Sound City Reading books. 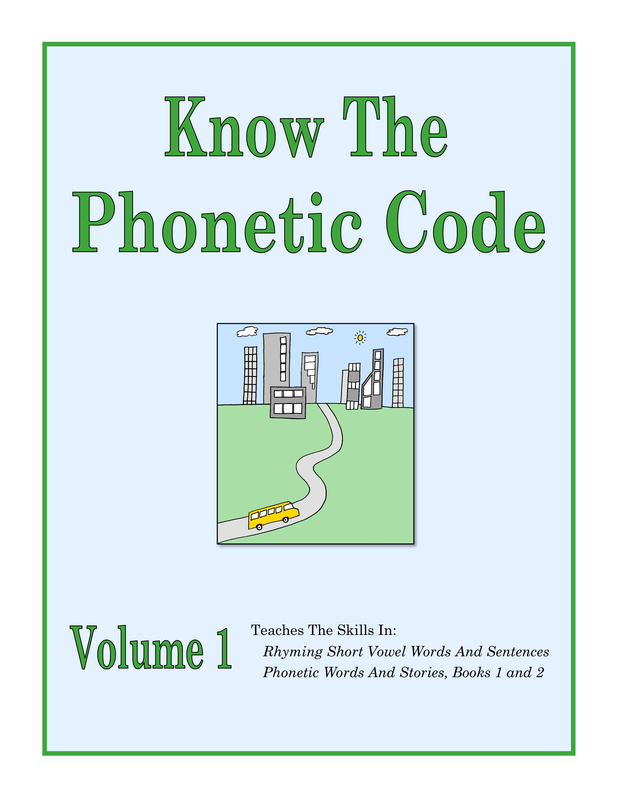 This book can be used as a challenge level for students who are learning the phonetic patterns or as a review book for students who are studying Advanced Phonics Patterns From Children's Books.